The flea market, (Shuk HaPishpishim) in Jaffa is the place to head to soak up the unique, diverse and colourful vibe that represents Tel Aviv! For the intrepid shopper staying at The Norman luxury hotel, who wants to rummage for hidden treasures or pick-up the very latest in cutting-edge Israeli designs, Jaffa flea market is the place to go. 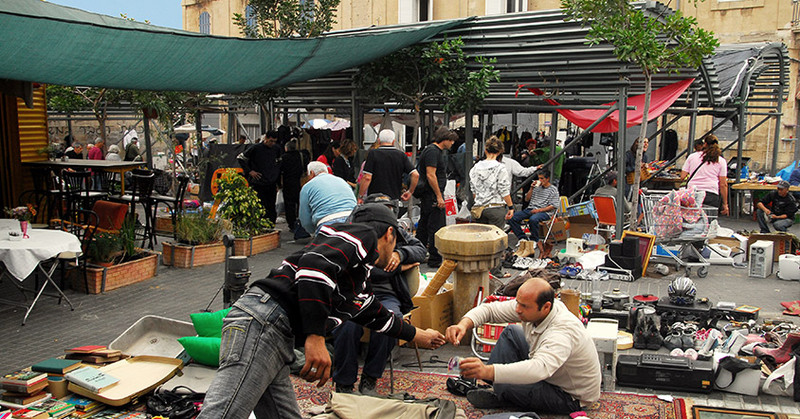 Founded in the early part of the 20th century, Jaffa Flea Market has become a trendy hotspot for fashionistas, artisans and lovers of all things old or handmade. Its sprawling streets and the central market area are an eclectic mix of restaurants, second hand bric-a-brac vendors, furniture stores and both second-hand & designer clothes shops. 4 stores from The Norman’s connoisseurs guide. PALESTINA ERETZ ISRAEL: This romantic small and jam-packed antique shop has been operated by Amotz Yaakobi for the last 20 years. With many items originating from pre- 1948, this old curiosity shop is an oasis of history and nostalgia. HALLELUYAH: Home to a wide selection of musical instruments from around the world including Thai wooden frogs that croak and a rain stick from Australia, as well as locally-made Darbuka drums and flutes. MANSUR: Mansur was a soldier in the Iranian King’s army until 1979. Upon arriving in Israel after the Iranian revolution, Mansur and his family continued their carpet weaving traditions, maintaining strict standards of practice and quality that result in the beautiful, quality carpets available here. TAOS: Walking into Taos is like entering a Hollywood movie set. A supplier of life-size cartoon characters and figures, however Taos also sells a range of similar, smaller household items that you can fit in your suitcase.